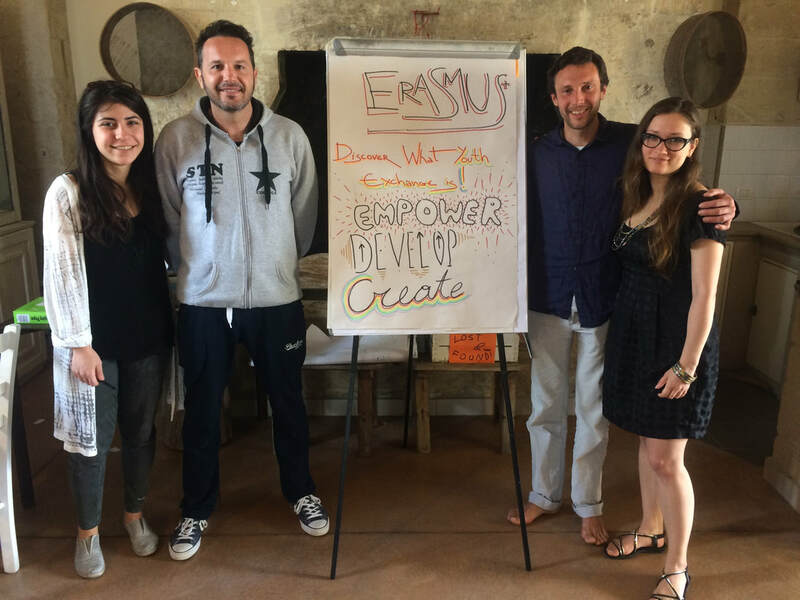 ​The training course “Peace Leaders+” took place from 3rd to 10th of May in Masseria Ospitale, Lecce, South-Italy. to know one another through cleverly structured games, having fun built around physical movement and eye contact. This was easily the fastest I had ever imagined a willing and coherent group built from scratch; I think that all participants shared a sense of having entered into something lively and coherent, and that good things lay ahead for us. The week was divided simply into two parts. First, theory: how to understand and lead a group of young people? how to find an inner stance of powerful peace? Then we had lab practice - a chance to plan and run a workshop much as we liked, using our own group as participants, and with feedback from trainers. Underneath this simple structure was a lot of complex subject matter, and I felt stretched and engaged by the range of sessions. 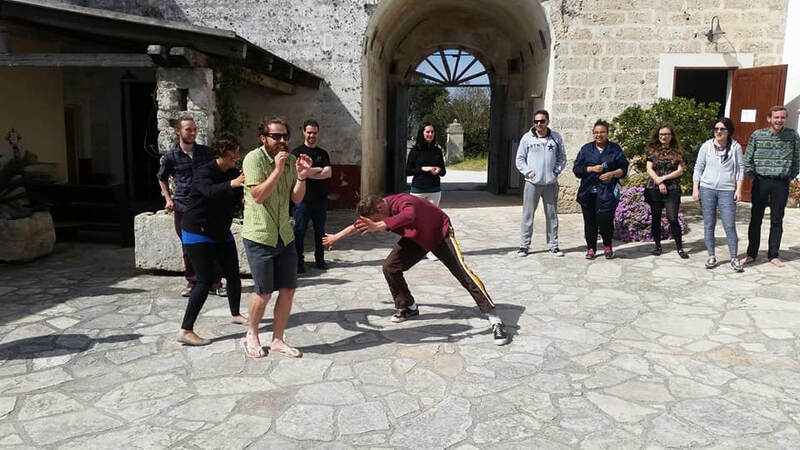 The different teaching styles used were themselves instructive, with a mix of energising games, academic theory, and "what does it mean to you?" type discussion. This gave me as a participant a sense of learning from inside a fortuitous loop, which mixed medium deeply into message. Further feedback was brought in at every opportunity, as the trainers made efforts to reinforce each day's exercises with evening reflection and morning quizzes. 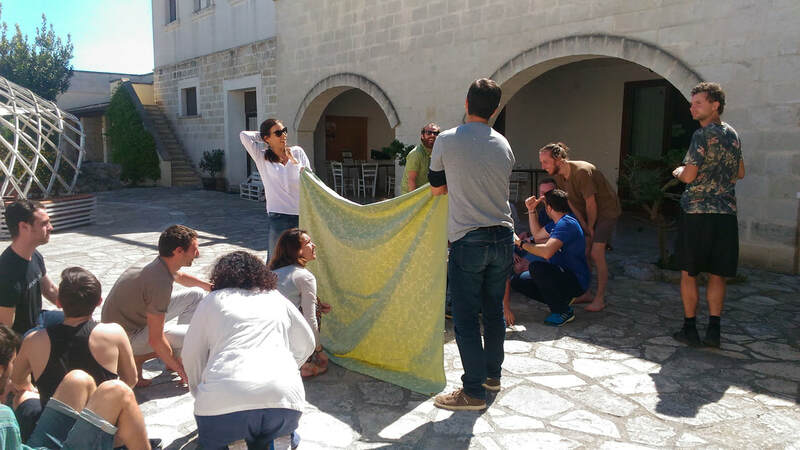 There was little time to relax in the pleasant Masseria, with its courtyard set in old buildings and its quirky hospitality. The space was used to the maximum, with outdoor sessions giving depth to mindfulness exercises. Inner peace did battle with outward power, and a pair of nesting swallows provided commentary of their own as I wondered what leadership and mindfulness might have to say, one to the other, given wings and tasked with a twig-moving game. There was a lot of idea-sharing and dialogue within the group, which gave me the feeling we weren't passively involved. One of the most relaxed sessions was an intercultural evening, when we shared foods and traditions from our own countries - yet there were meaningful exchanges taking place throughout the week. Some participants felt more listened to than others, and some personalities responded strongly to the ambience of positive energy and pumped-up mindfulness. 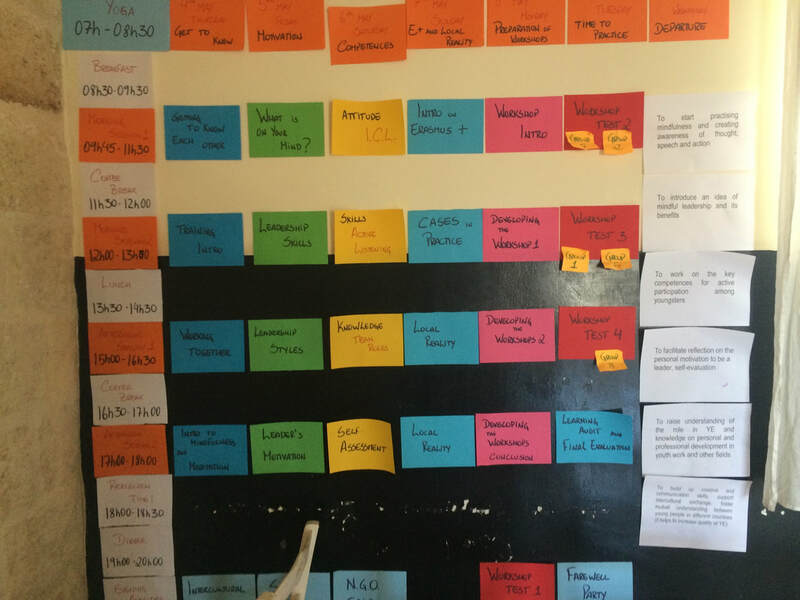 The trainers made efforts to show us our own dynamic, explicitly encouraging us to look critically at how we handled each others' ideas and contributions during various tasks. 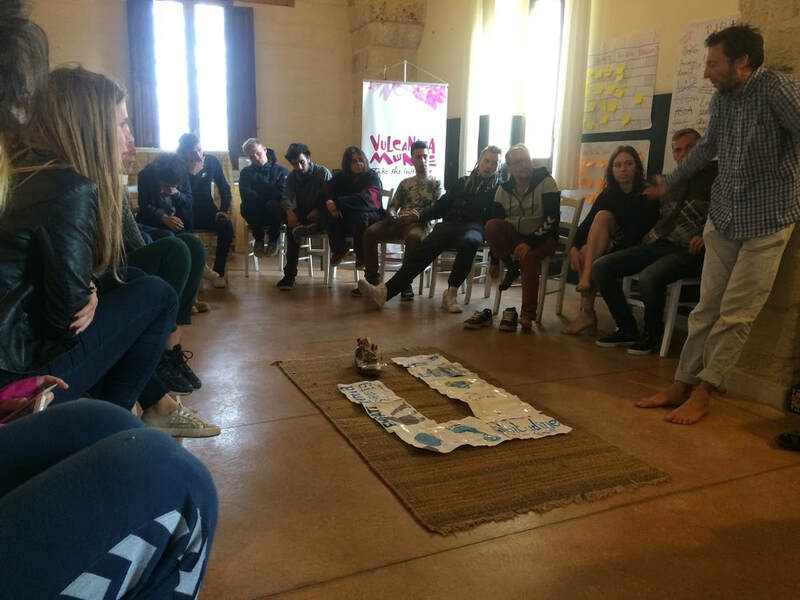 We literally stood in each others' shoes; but in the energetically charged environment of the group, much intercultural exchange also took place outside the activities and timetabled discussions. Beyond Erasmus+ and youth work, the waft of early-morning incense brought yoga and meditative experiences which were new to some, and sometimes powerful. Making use of every minute, we had the chance to see something of local Italian culture too, with a rest-day trip to Otranto organised by the Vulcanicamente team. I think that some helpful ideas were seeded and that much could grow out of this training course. Personally, I have already used what I learnt, to organise a short workshop for a youth exchange. I've had to think more deeply about mindfulness and leadership. I saw many contacts made between youth workers and different organisations, and I think everybody went home with a storm of new ideas and experiences. In one short week I found much to digest, enjoyed many positive encounters, came away with some powerful memories and experiences. Thanks to all - the funders, the trainers, host organisations, volunteers and participants. 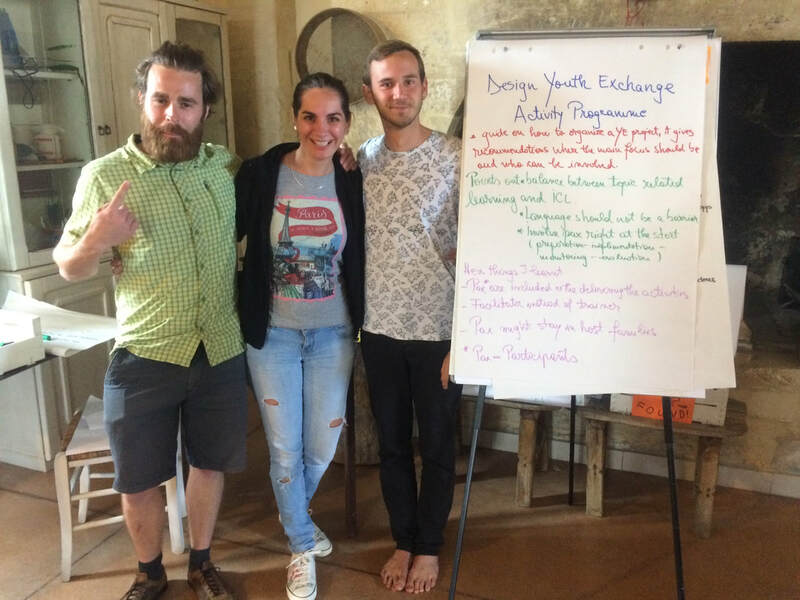 This workshop was conducted by Matthew Bradman, the author of the article, during the youth exchange ﻿"Hand in hand with art, music and dance".